EXCLUSIVE: THE steering committee behind the Great Koala National Park is working with local mountain bike groups in a call to government to invest $6-million into creating world-class mountain biking hubs on the Coffs and Mid North coasts. The GKNP proposal, backed by the Greens and State Labor as a State election issue, would add 175,000 hectares of state forests to form a 315,000-hectare koala reserve stretching from Woolgoolga to Kempsey and the New England. 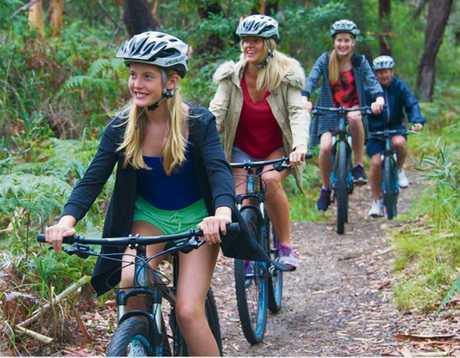 Capitalising on some of the most scenic forestry mountain bike trails in Australia, the plan would cement the coast's biking tourism potential. National Parks Association senior ecologist Dr Oisín Sweeney said a network of mountain bike hubs would be created across more than 100km of biking trails, supporting riders of all abilities with special areas dedicated to cross-country, all-mountain, touring, downhill and free riding. "Tracks and signage would be professionally constructed in consultation with ecologists in accordance with International Mountain Bicycling Association (IMBA) standards," Dr Sweeney said. Hubs are proposed at existing tracks around Woolgoolga (Wedding Bells and Bucca), South West Rocks (Ingleba), Nambucca Heads (Jacks Ridge), Urunga (Newry), Coffs Harbour (Mount Coramba) and Sawtell (Pine Creek). A new cycling hub planned in the Bellingen Shire, potentially at Dorrigo, would also be the subject of community consultation. The proposal has won the support of the Woolgoolga Mountain Bike Club, which is set to host its next event in Wedding Bells in April ahead of the nationally renowned bcu Woolgoolga Mountain Bike Festival in August. "This has the potential to pull massive tourism numbers into the Coffs Harbour area," the club's president Mark White said. "Nowhere else in Australia can you ride from the beach and in 15 minutes be at the top of a hill in the middle of the rainforest," he said. BUILDING a world-class mountain biking network across the Mid North and Coffs coasts is estimated to cost $33,000 a kilometre. 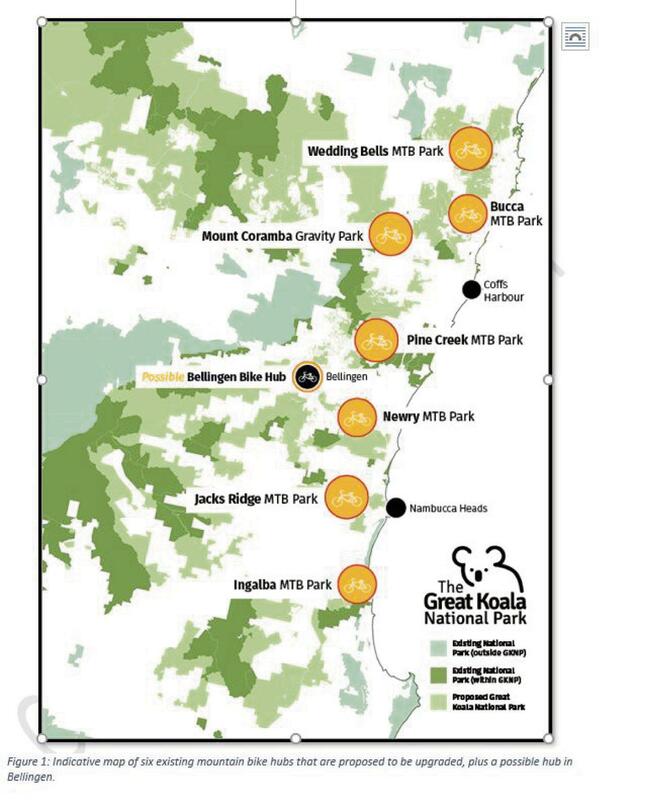 Capitalising on some of the region's already popular two-wheeling hotspots, riding trails would be constructed under the Great Koala National Park proposal, which would convert State Forests, which are currently logged for timber, into koala conservation zones. Amenities and signs would also be created along the trails, under the $6million asking price, which if backed by government would also incorporate the necessary costs associated with planning and development and marketing the Coffs Coast as Australia's newest mountain biking mecca. 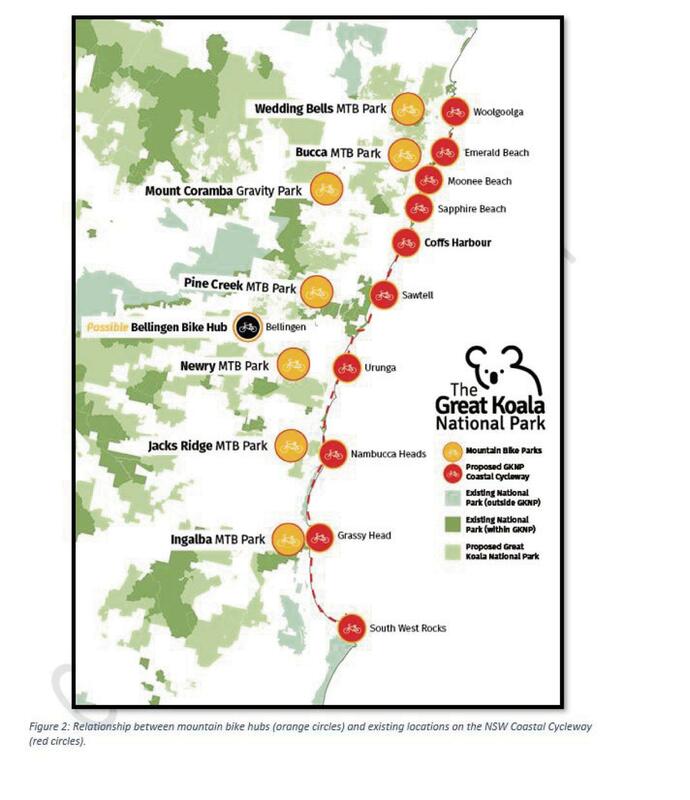 The groups associated with the Great Koala National Park steering committee envisage seven mountain bike hubs between Woolgoolga and Scotts Head, linked to each other via existing forest tracks, and to the NSW coastal cycleway. "The Great Koala National Park steering committee's report entitled Sun, sea, sand and thrills: beat that New Zealand highlights the potential for the proposed Great Koala National Park to elevate the Coffs Coast into the echelons of a truly world-class international and domestic destination for nature-based fun," Dr Sweeney said. The report cites the examples of Rotorua, New Zealand, where mountain bike tourism is now worth more than the value of the plantation timber where the biking takes place and Derby, Tasmania, where a $3million initial investment now returns $30million a year to the local economy. "Many trails already exist but their economic and social potential cannot be maximised," Dr Sweeney said. #What Coffs Wants: Vote for the Top 50 projects raised by our readers that are most crucial to the Coffs Coast's future. "The reports states logging precludes significant investment because of uncertainty as to the long-term security of trails and the disruption to the natural beauty that logging inflicts. The steering committee views logging as incompatible with high-value nature-based tourism and would not confirm its position on the World Rally Championships continuing to be run on the Coffs Coast's state forest trails. "We are so excited about what our local area could become if our leaders have the vision to create the Great Koala National Park", Nambucca local and spokeswoman for the GKNP Caitlan Hockey said. "We've jokingly referenced New Zealand because our Kiwi friends are so good at nature-based outdoor recreation. In fact, they ended native forest logging almost 20 years ago and their regional areas are thriving - largely thanks to the tourism industry. 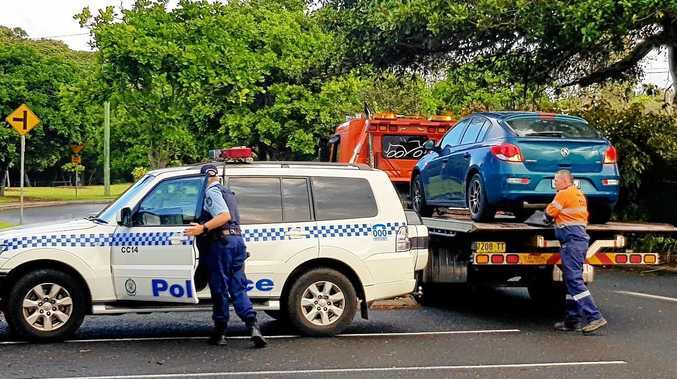 "Yet we think we actually have a better offering right here on the Coffs Coast. We have a marine park where you can see whales and grey nurse sharks. We have the Gondwana Rainforest World Heritage area where you feel like you're stepping back into a land that dinosaurs inhabited. We have wilderness areas ... We have glorious beaches ... and we've got good weather. "Imagine the world's first Great Koala National Park on top of that. Then imagine world-class mountain bike infrastructure for visitors to the park. The opportunities are endless. "We're convinced that the GKNP is a vital component of our area's future, and we hope those who value natural beauty for mountain biking will support us in trying to make it a reality." 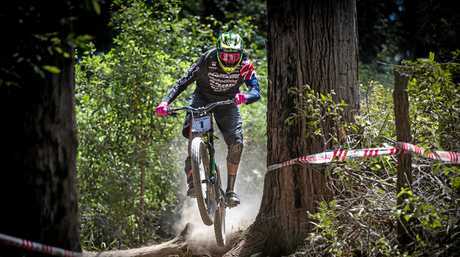 THE Coffs Coast is already renowned in mountain biking circles having played host to National Championship rounds over the years. With that said the cogs must now turn on local infrastructure to make the region world-class. That's the take of the Woolgoolga Mountain Bike Club, which is backing the $6 million plan to improve the riding experience on the Coffs Coast. The great interest far and wide in riding the Coffs Coast trails is evident in the club's feature event the bcu Woolgoolga Mountain Bike Festival, which enters its fourth year in August. "The first festival ride we held in Wedding Bells attracted about 40 people, last year there were 300 and the weather was attrocious, it's the appeal of riding the trails, we'll probably have double the amount of starters this year," Mountain Bike Club president Mark White said. Mark runs events company, White Lightning Events, which stages mountain bike events all around Australia. "I've travelled the country, ridden a lot of trails. 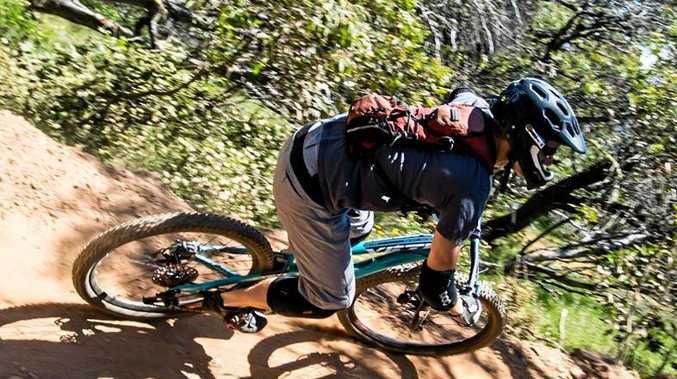 There is no where better for mountain biking than here," Mark said. "This has the potential to pull massive tourism into the Coffs Harbour area. Riders will pack out caravan parks and local accommodation. Nowhere in Australia is offering that sort of terrain and riding appeal. "A lot of these trails already exist, it's not something that needs to be built from scratch just brought up to a sustainable standard and then maintained. "Personally I think mountain bike tourism and our tracks here could deliver 10 fold what logging income does, and this type of industry could sustain NSW Forestry's own workforce. 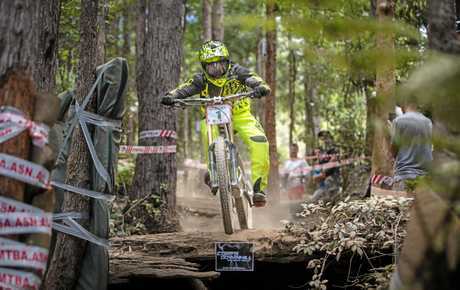 Mount Coramba has also hosted national downhill competitions, and over the past 12-months even a Queensland State round, as it was deemed the best location across the two states. "Mount Coramba has the best reputation in Australia - people love coming to Coramba it's the standard most other downhill tracks are made on," Mark said. "The trouble with Wedding Bells is that we have been asking Forestry for years for occupational permits. "Each time it rolls into a hurry and wait excuse, (forestry) can see probably the time will come, but it seems we are waiting on the government's mountain bike initiative to be released. Wedding Bells will again proved its mountain biking potential in April during the club's next event then in August during the festival with a 100km cross country marathon set to attract some of the best in the business. Outside of the competitive elite rides, there will also be a shorter teams race relay, a hillclimb at Gentle Annie, beach sprints on Woolgoolga's main beach, dirt masters and junior rides around the Woolgoolga Lake, before an enduro and a dowhill event, plus plenty of social rides over the weekend. Ask any local mountain biker about improved tourism trails and the common answer is build it and they will come - just look at New Zealand's Rotorua.